Basic low voltage DC fusing, wiring and safety for beginners. Everyone needs lights in their kitchen. 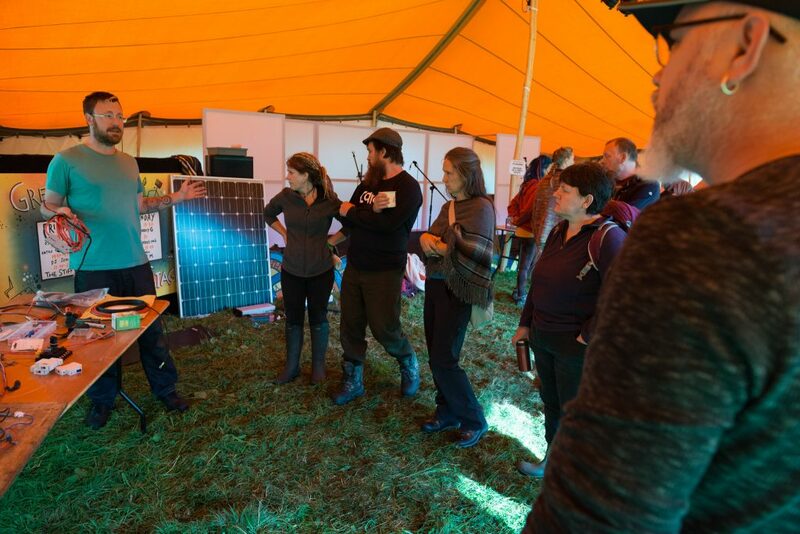 This is a basic talk with hands-on demonstrations aimed at people with no experience of solar power, batteries or LEDs. 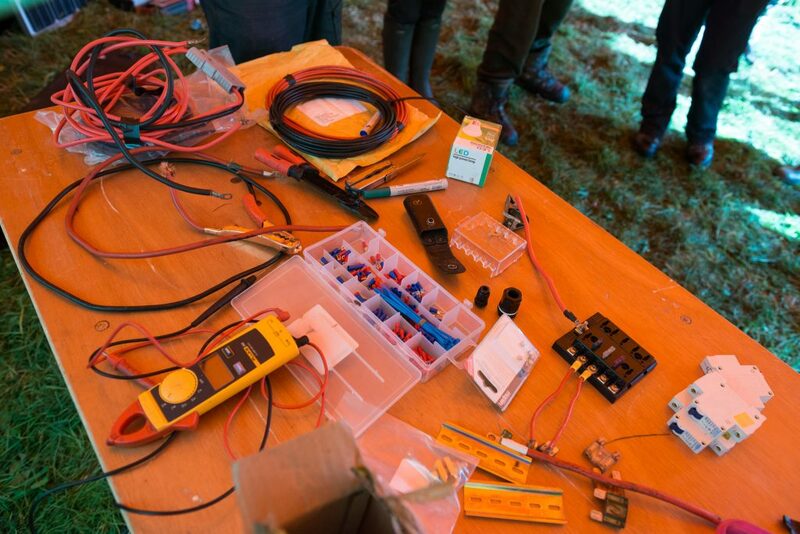 Learn to test batteries using meters and indicators (and what the numbers mean…), learn the basics of low voltage DC cabling and help set up a small solar system. Volts, amps and circuits, DC safety and fusing, DC cable sizing. Blake from Green Dragon runs his stage at events purely from solar panels and battery power. He has been wiring up small scale DC systems for the last 15 years. Solar panels are cheaper now and easily in reach of anyone who wants power off-grid. Green Dragon is powering the whole site including kitchen blenders and site lighting.